Four elements make up most living things — including you! 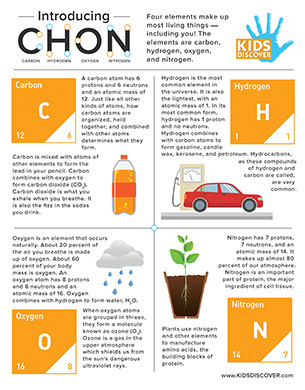 The elements are carbon, hydrogen, oxygen, and nitrogen. Download this free lesson sheet and help give kids an understanding of these four essential elements and their basic attributes.